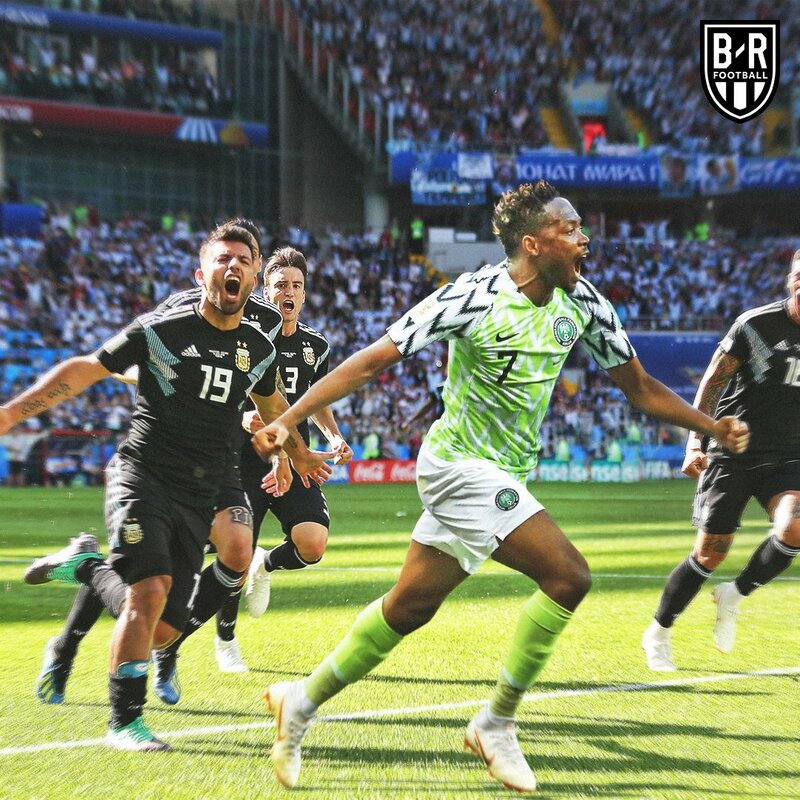 Ahmed Musa’s second half heroics gives Nigeria, and Argentina, a lifeline of qualifying from Group D as Iceland miss the chance to edge into the round of 16. The first half ended with little to discuss at the break. Iceland started brightly and Gylfi Sigurdsson went close with some long range efforts early on. Nigeria failed to register a shot on target in the first 45 minutes and almost found themselves behind when Alfred Finnbogason touched a cross wide from close range. After failing to register a shot on target in the first half, Nigeria emerged from the break with a point to prove. 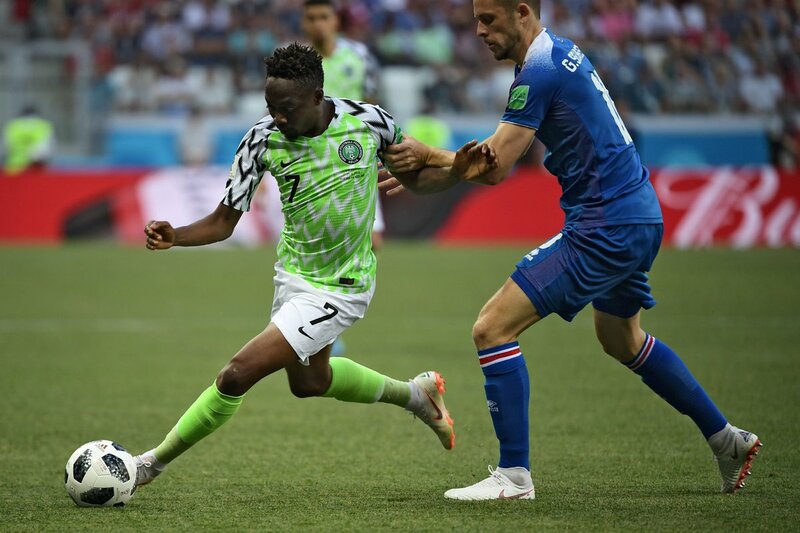 Victor Moses raced down the right win and his cross was emphatically brought down by Musa, who took one touch to pick the ball out of the air, then a second to fire it into the net and gave Nigeria the lead. Iceland were on the ropes and Musa doubled his and Nigeria’s lead with pace to rival that of track sprinters. In the left channel he burst away from Kari Amason, rounded the goalkeeper and found the back of the net. 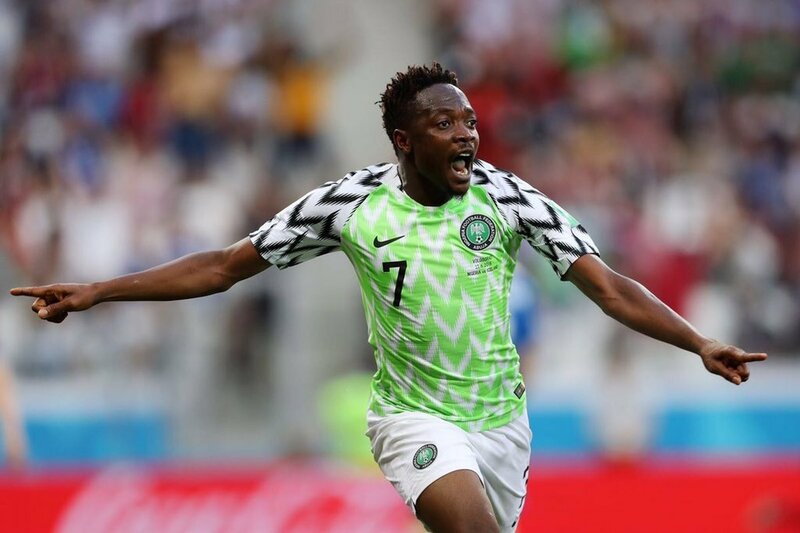 Musa had to make do with being a second half substitute in the 2-0 defeat against Croatia but was called upon to light up a dismal attack. His direct running had the Icelandic defenders scrambling to contain him and he scored two brilliant goals to round of a complete attacking display. Leicester may take a look at his display and consider cramming him into their attack next season. Kelechi Iheanacho partners Musa up front as two of three changes from the Croatia defeat. 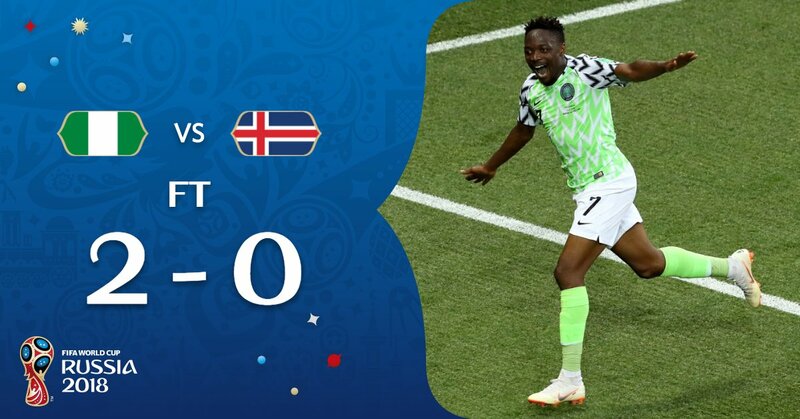 Final Score: Nigeria 2, Iceland o.